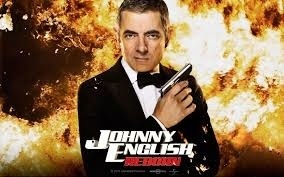 i have just uploaded the trailer of Johnny english and it seems to be a very fine and funny movie and how can it not be when the famous actor Mr bean is the lead actor in the movie. The movie is about an agent who was dismissed and the agent then goes to a kung fu master for training and then a situation is created where the MI6 needs him back and calls him. The main fun and the story starts from there when he comes back and joins for his post again in MI6. The movies seems to be a hilarious movie and guarantees money back entertainment so all you guys go and watch it i am sure you will enjoy it a lot.